Private Edward Leroy Tabler started his career with the Fifty-First Illinois Infantry, Company K, on January 1, 1862. The same day Tabler joined the regiment he started keeping a diary. He wrote in his diary the first day, "Commenced being a soldier, in the barracks at Chicago. All is quiet now, the first day of January." Tabler's diary entries, letters, interests, journeys, and family ties once again, little by little, find the light of day on this website in 2006. To locate Private Tabler in his time, lineage, and Illinois, William Edward Henry details Tabler's genealogy here. Tabler's father Nathaniel H. Tabler was the first of his lineage to settle in Illinois, as described in this biographical sketch. Nathaniel Tabler, with his family, and with the Cryder and Walley families, settled in Aux Sable Township, Grundy County, Illinois in 1833 (Private Tabler was born here a few years later). This Early History of the Cryder Family in Illinois gives fascinating glimpses of prairie life for Tabler's forebears. Private Tabler survived the war only to die in 1866 on his brother's Aux Sable farm in a farm accident, as told in Tabler's obituary; the page also shows pictures of Tabler's grave at Aux Sable Cemetery in Grundy County, Illinois. We are placing Edward Tabler's 1862-65 Itinerary here. It provides a detailed record of Tabler's movements - and the movements of his regiment. It has been compiled, with notes, by William Edward Henry. Private Tabler left behind two diary books. The books were preserved in family papers. The diary appears here in two forms: first, in an edited transcription by William Edward Henry, who holds the Edward Leroy Tabler Papers, and then in an almost unedited transcription that preserves original spellings and usages, also transcribed by William Edward Henry. Diary Book I. Private Tabler's diary begins on his first day in camp with the Fifty-First Illinois, January 1, 1862. The first six months of the diary start with training days at Camp Douglas in Chicago and end with the regiment camped in Mississippi after the evacuation of Corinth. The entries for the latter half of 1862 and into 1863 track the regiment into Alabama (guarding railroads and bridges), to Nashville, and to the Battle of Stones River at Murfreesboro and bring Tabler's first diary book to an end. Book I of Tabler's Diary Unedited: The whole of the first book, transcribed but unedited. The paragraphs of the synoptic Adjutant General's history of the regiment are interspersed through the diary. Diary Book II. When Tabler started recording events in a new diary book, what we call here "Diary Book II", he started his entries at January 1, 1863. His "Diary Book I" had entries up through February 9, 1863. It's interesting to compare the "overlapping" entries for the period January 1 to February 9. Book II of Tabler's Diary Unedited: The whole of the second book, transcribed but unedited, with the Adjutant General's history interpolated at appropriate date intervals. Notes & Comments on the Diaries. William Edward Henry here shares his working notes and comments on Tabler's diaries. The notes shed light on themes common to Civil War soldiery, such as dissipating bias against persons of African-American lineage and such as the rhythms of daily existence for Union soldiers in the South. The notes also comment on the type of man and soldier that Tabler was - or seemed to be. Private Tabler's Personal Characteristics as Evidenced in His Diaries. 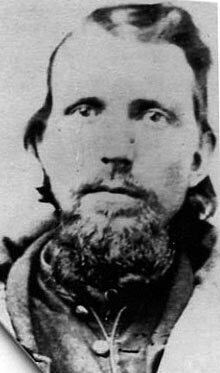 William Edward Henry has used the diaries to throw light on Private Tabler's personality and its manifestation in the day-by-day existence of a Union soldier. Each of Tabler's letters appears first in a transcription edited for punctuation and spelling by William Edward Henry, then follows a version that preserves the spellings and line breaks of the original letter. Tabler wrote home to his family in this March 1863 letter. To his brother on many topics, including coming safely through Chickamauga, in this November 1863 letter. And, with the Fifty-First, moving to thwart Hood's army, in this November 1864 letter. Private Tabler observed and recorded as the Fifty-First marched through Missouri, Tennessee, Mississippi, Alabama, and Georgia. His diary entry of July 10, 1863 reads, "This is where Murrel killed Wood and threw him over the precipice." The story was a famous one in the mid-Nineteenth Century, visited by such commentators as Twain and Lincoln, and re-visited throughout the Twentieth Century by Faulkner and others. William Edward Henry writes commentary on Murrell, The Great Western Land Pirate.